Each year, the world consumes more than 92b tonnes of materials – biomass (mostly food), metals, fossil fuels and minerals – and this figure is growing at the rate of 3.2% per year. Since 1970, extraction of of fossil fuels (coal, oil and gas) has increased from 6bn tonnes to 15bn tonnes, metals have risen by 2.7% a year, other minerals (particularly sand and gravel for concrete) have surged nearly fivefold from 9bn to 44bn tonnes, and biomass harvests have gone up from 9bn to 24bn tonnes. The authors said it was essential to decouple economic growth from material consumption. 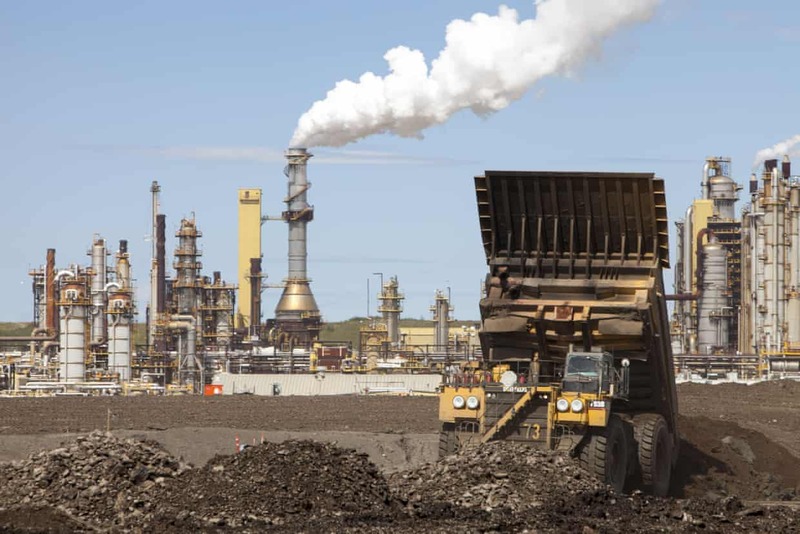 Without change, they said resource demand would more than double to 190bn tonnes a year, greenhouse gases would rise by 40% and demand for land would increase by 20%. “We do not inherit the earth from our parents; we borrow it from our children”….North American Indian proverb. Pope Francis once said: “Destroying the Earth is Sin”. The over-riding concerns of the Church and certain NGOs like SEEP has been centered on the inequitable distribution of the Earth’s resources. We would like to focus our attention on the greatest victim of unjust decisions – the rural communities. There are still so many proposed extractions, gravel extraction on rivers and logging being planned in Fiji. There are so many in the tenement list and maps by the mineral resources department. There is a plan to mine bauxite in Wainunu, Bua. There is magnetite mining earmarked for Sigatoka river by Dome and Gusunituba river in Votua, Ba by Amex. There is ongoing bauxite mining in Dreketi. There is also plan to mine Namosi of Gold and copper but the Tikina Namosi landowners Committee are holding up well and of cause there is a plan to mine gold in Tuvatu, Sabeto. We must first of all examine our ideas on development. Those who are proposing these kinds of development must first of all understand the meaning of development. What really does development mean to us? While it is true to say that buildings, equipment and money are useful and necessary for development purposes we must be really careful to remind ourselves that development must focus on human beings and not things like infrastructure and so forth. The core of development has to be people centered. In a Globalized world that we are living in, there is more hunger for more money instead of focusing more on human beings. The focus of every development initiative should be people. Sustainable development is development which meets the needs of the present without compromising the needs of the future generation’s. The village of Votua, Ba are not really happy on how their “qoliqoli” will be used to extract black sand or magnetite. The village of Votua has three clans – Yavusa Narai , Yavusa Nadua and Yavusa Balavu. The heads of these three clans told us, Social Empowerment & Education Program – SEEP that “they said yes only to exploration” not extraction. The location of the extraction site is a food bank and livelihood for the people of Votua, Ba. It has contributed to their daily sustenance, education for their children, their community hall, their church and their school. The three heads of clans are asking the Government to put a stop to this project for the sake of their people, not only for themselves but for their future generation as well. Awareness raising and community education are extremely important in relation to conservation of fresh water and sea water resources. This topic also warrants attention in school curricula and adult education programs, including health awareness programs. Again the Churches should play a leading role in encouraging understanding and commitment. There were no proper due diligence conducted with the people of Votua, Nawaqarua and nearby settlements. There was no free, prior and informed consent. Free Prior and Informed Consent is an extraction of UNDRIP for all Indigenous peoples of the world and the right of all Indigenous peoples to be fully informed and to reject or give their consent based on their own collective decision making process to any project that concerns them. All facts must be shared to the communities where they can base their decision and agreement by the people is without force or manipulation by outside parties or the State. The indigenous people have their right to their land and their resources and must be free from hazardous materials. They have the right to redress. 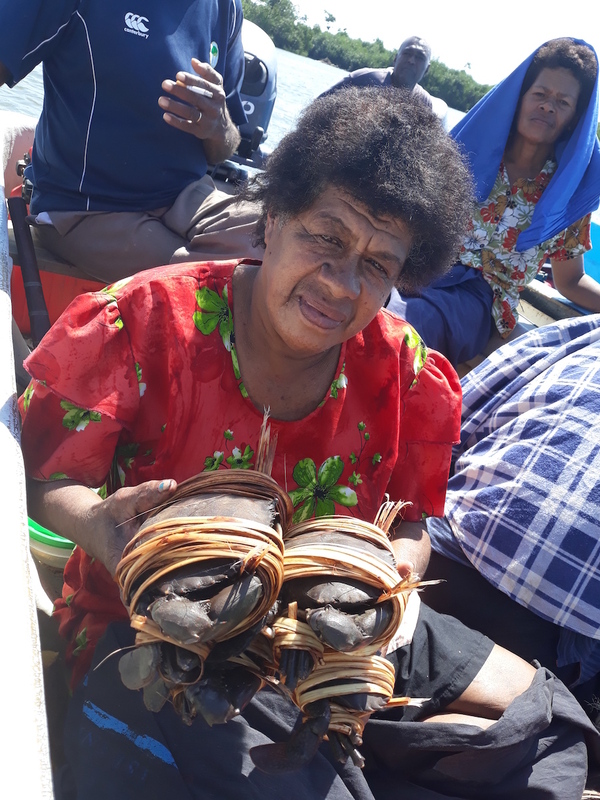 According to the people of Votua Village, their Marine resources are very important to their daily needs. 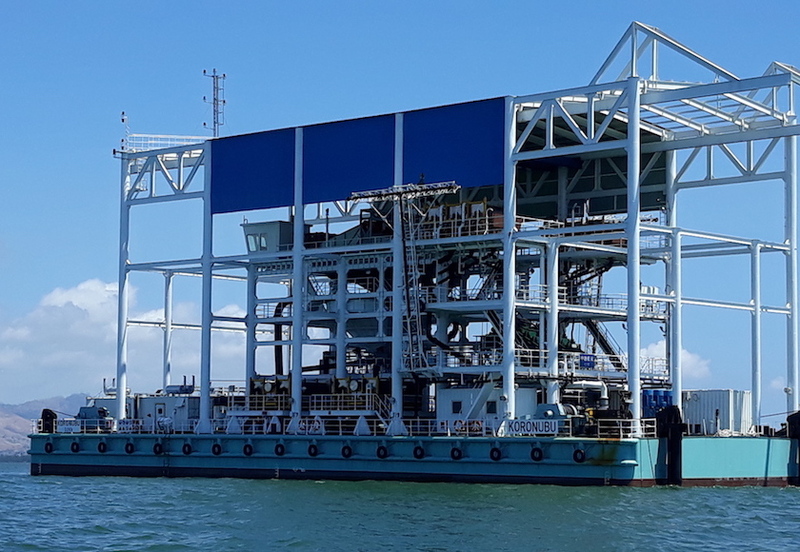 They also said that if these extraction project is given the green light it will drastically threatened their livelihood and very disruptive to coral reefs nearby. Several saltwater and freshwater species are endangered by this unsustainable practice. According to experts extraction causes profound effects on biodiversity. 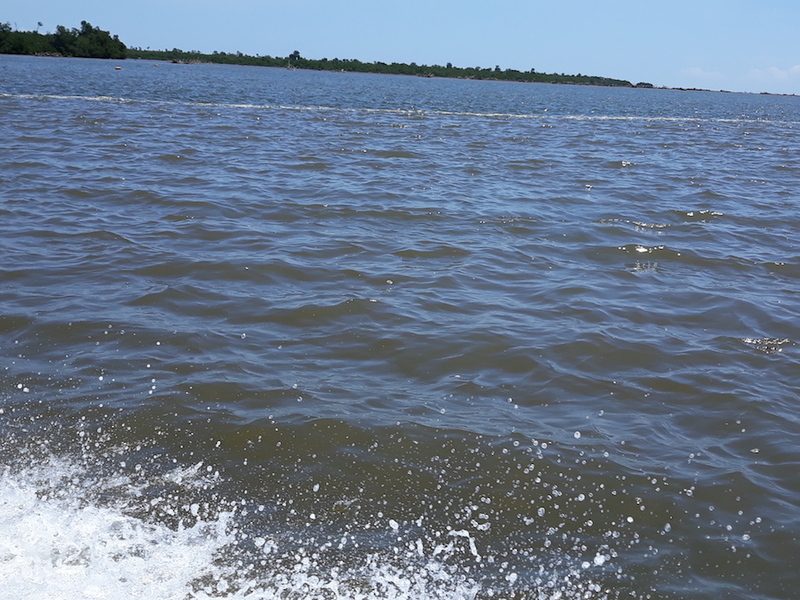 Mangroves are largely found on both sides of the river bank in Gusunituba, Votua, Ba. 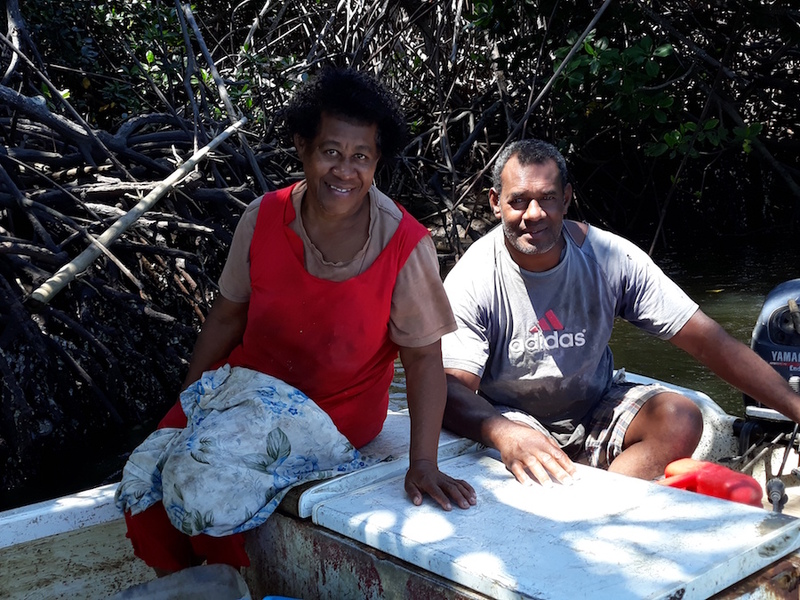 If these mangroves are lost or if there are mangrove canopies, this will result in diminishing the values of subsistence and commercial fishing by the community of Votua, Nawaqarua and nearby settlements. Fish, crabs, land crabs, reef fish, prawns, mud crabs, turtles, ark shell, freshwater mussels and other varieties of resources from the river and the seafront can all be threatened if this project is given the green light to go ahead. The environment and the economy are two sides of the same coin. Most local communities all over the world are resisting environmental destruction of their local habitats and communities but it will be good for the Government and companies to engage with communities like Votua, Ba and provide awareness and bring them on board to understand the effects of this project on their culture, their social lives, the degradation to their environment and their livelihood and how it will have an impact on our weather patterns. The Social Empowerment & Education Program – SEEP together with communities of Votua, Nawaqarua and nearby settlements believes and hope that good sense and wisdom will prevail, allow for proper consultation and let the communities understand the effects on their environments, their social lives, culture and give them the space to properly discuss these and make their own decision whether to mine or not to mine. 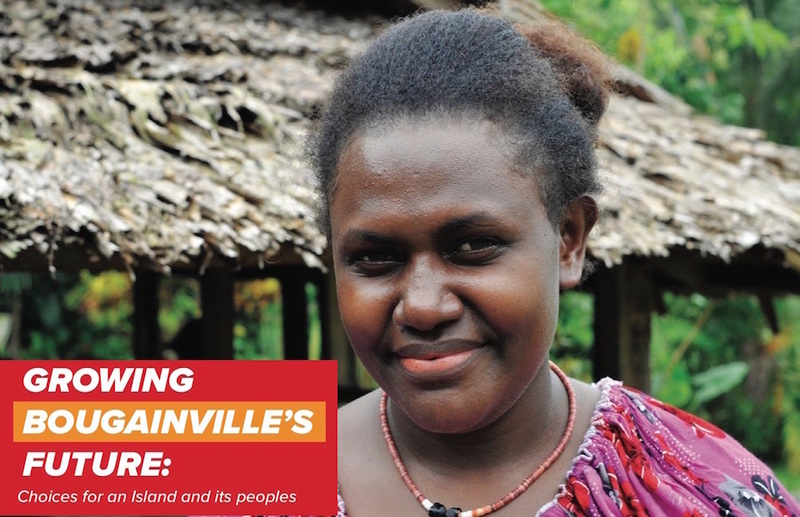 Jubilee Australia’s report ‘Growing Bougainville’s Future’ examines the choice facing the people of Bougainville and asks the question of ‘to mine or not to mine’? 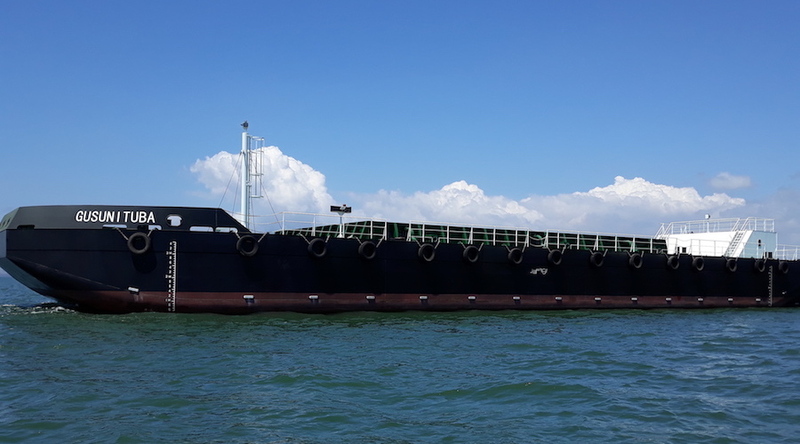 An over-reliance on the mining oil and gas sector is likely to distort Bougainville’s economymaking it harder for non-resource sector exports – particularly in agriculture – to bring in revenues, as is the case in Papua New Guinea. This report is being published along with a short film, Bougainville: Long Han Blong Yumi (Bougainville: It’s In Our Hands). The film has been made for a Bougainvillean audience and explores many of the same issues explored in the report. The alluvial gold and silver production for the year 2017 achieved the second highest revenue figure of K356 million since the records were reviewed this year. Mining Minister Johnson Tuke said this placed the alluvial sector in 5th place by revenue when compared to major mines operating within PNG. Mr Tuke spoke to delegates during the 4th Alluvial Convention and Trade Show in Lae yesterday stressing that while it was unfortunate that the price of gold is ever reactive to world events, trade, and political influences such as the prospect of a full blown international trade war currently has dropped off its highs of the first six months of 2018. Mr Tuke said last month the Mineral Resources Authority Act 2017 was gazetted. He said amongst other policy changes this revised legislation has raised alluvial levy to 0.5 per cent from 0.25 per cent. “The additional levy funds will enable further policy development within the sector and a wider reach for the small scale mining training. “Every alluvial mining operation is a small or medium enterprise whether it be a simple panning and sluicing operation or a more complex and sophisticated mechanised development supported by an alluvial mining lease for alluvial purposes and a tribute agreement,” Mr Tuke said. He further highlighted MRA shares his desire to see the mining SMEs grow and prosper and develop into productive business. Mr Tuke said the mining advisory council at its last meeting in 2017 approved a trial of a newly established alluvial lease and tributer monitoring committee. He said the outcome is hoped to be successful ventures which in turn lead to transparent, well managed, and productive operations with profits available for distribution in the communities supporting the alluvial venture. The process he said was undertaken to capture common issues faced by applicants and to give them greater control of their mining operation and fairer and more transparent commercial terms. Today, residents of Morne Pele in the North of Haiti and members of the Kolektif Jistis Min (Mining Justice Collective or KJM) held a press conference to share their message, Wi ak Lavi, NON ak eksplwatasyon min (yes to life, no to mining). Last month, thirteen community organizations from Morne Pele signed an open letter to local and national government authorities. The organizations represent a broad cross-section of society, including the local health center, religious groups, schools, government authorities, workers’ rights organizations, and farmers’ groups. Morne Pele, also called Morne Bossa, is the site of one of three gold mining exploitation permits in Haiti. Read the letter in English, Kreyòl, and Spanish. Morne Pele is the site of the right to water study that the Clinic is conducting with KJM and scientists from Penn State University. For more on the study, see our March 22, 2018 press release. In March 2017, El Salvador, a country with deposits of gold and silver, became the first and only country in the world to ban all metallic mining. The process took twelve years, according to Pedro Cabezas, who runs the mining and human rights program of CRIPDES, the largest rural organization in the country and a leader in the Salvadoran social movement. It is a story of popular organizing, which American and other activists might want to pay attention to and learn from. It is also a tale of collaborations across causes, sectors, geographic areas, and national borders. El Salvador has a history of small artisanal mines, including a small mine in San Sebastián which was started some 100 years ago by local people. However, mining wasn’t an important part of the economy until the 1970s, when Commerce Group Corp. of Waukesha, Wisconsin, started operating the mine, turning the San Sebastián River waters orange from the chemicals, including cyanide, arsenic, and mercury, that seeped into it. Local people can’t use the water for drinking, washing, or watering their crops, and there are numerous cases of cancer and respiratory diseases in the area. 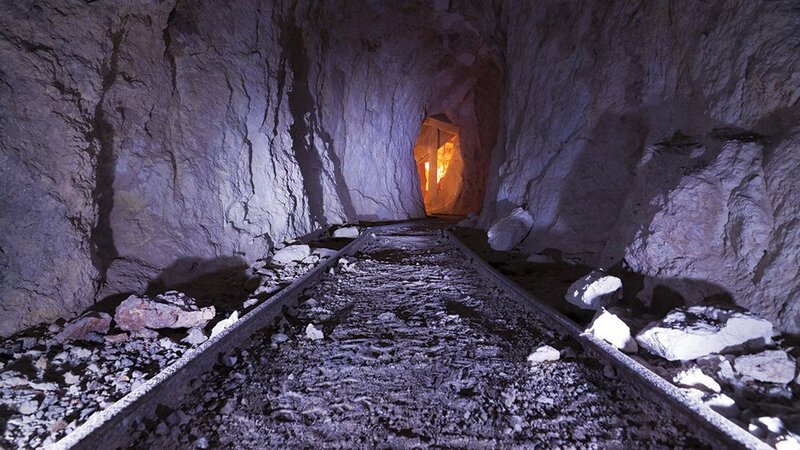 Most mining stopped during the civil war that raged from 1980 to 1992. After the war ended, Cabezas says, the rightwing ARENA government, in collaboration with international mining concerns, drafted an economic plan for the northern part of the country, with thirty-three areas of mining interests, a highway, and twelve hydroelectric dams. It started building the highway and granted twenty-eight exploration licenses to ten companies from the United States, Canada, and Australia, without consultation with the residents. These developments faced immediate popular resistance. Two of the most affected areas were the departments of Chalatenango and Cabañas, highly organized communities where land had been granted to the residents after the civil war. The first confrontation happened in Chalatenango where the Canadian Au Martinique Silver corporation started prospecting in 2005. The corporation promised jobs, economic growth, schools, community centers, and clinics. Excitement turned to irritation when staff started entering private land, cutting fences, and exploring. Community leaders, highly politicized from the war years, traveled to mining communities in Guatemala, Nicaragua, and Honduras, where gold had been exploited for ten years. They saw destroyed forests, contaminated water, and dried streams. The communities they met were poor and people were left without jobs, many of them suffering from cancer and respiratory diseases. Some community leaders continued to promote the mine but most people had made up their minds against it. Marc Rosenthal, a founding member of the Madison Arcatao Sister City Project, an organization based in Madison, Wisconsin, was in Guarjila, Chalatenango, at the time. There he attended a meeting where local people came with surveying stakes they had found on their properties. U.S. activists proposed a campaign to send the stakes back to the company by mail. Militant campesinosstarted blockading the sites and challenging Au Martinique staff. In Cabañas, the Canadian company Pacific Rim in 2002 acquired the El Dorado gold mine near the rural town of San Isidro, and started exploring. El Dorado was located in the Lempa River basin, whose watershed covers almost half the country and is the water source for about three million people. The mine would have used large amounts of water, mixed with cyanide to separate gold from ore. Activists and a community radio station led the resistance against the mine and its potentially disastrous use of the chemical. Marixela Ramos has worked for the Radio Victoria news team in Santa Marta for more than ten years. When Pacific Rim started exploring, she says, the company’s staff told local residents, who were not familiar with mining, that El Dorado would bring great advancements. The news team didn’t buy it. They consulted with environmental organizations and took courses, then broadcast what they learned, using simple language. They invited people impacted by mines onto the radio to discuss their experiences. The community continued resisting the mine, and the threats increased. Three activists were murdered, including a pregnant woman. One activist was brutally tortured. The murders prompted an international outcry and a resolution from the Inter-American Commission on Human Rights, but the intimidation continued. Ramos spent a few months in Ecuador due to the threats on her family, including her three-year-old daughter’s life. But the radio station continued its campaign. Cristina Starr (left) and Marixela Ramos of Radio Victoria. Cristina Starr, one of the station’s founders, remembers a day when the entire community was away for a soccer game. María Isabel Gámez, the news director at the time, was alone at the station when she received a phone call from a man who said, “So you’re alone, baby. I’m coming to kill you.” She called community members as well as the police, who told her they couldn’t come right away. By the time law enforcement arrived, residents were standing guard in front of the station, machetes in hand. They then created twelve groups which protected the radio each night for many months. In 2005, the various local anti-mining groups formed the National Roundtable Against Metallic Mining. They were joined by a mix of other national organizations and eventually came to a consensus that mining is not acceptable for El Salvador, the smallest and most densely populated country in Central America, where the majority of people live in the countryside, where active volcanoes generate a lot of seismic activity. They presented draft legislation to the government to prohibit mining. Other powerful institutions joined in, including the Catholic Church, which counts about 60 percent of the country’s citizens among its ranks. In 2007, the Catholic Bishops’ Conference of El Salvador asked the government to prohibit mining. The leftist Farabundo Martí National Liberation Front (FMLN) party, which was then in the opposition, adopted the same position. The draft legislation was a binding resolution, forcing the government to respond. In the lead up to the next presidential election, El Salvador’s rightwing, pro-business president, Antonio Saca, succumbed to popular pressure and declared that he wouldn’t issue any additional mining exploitation permits. The FMLN candidate, Mauricio Funes, promised that if he came to power, he would prohibit mining. The FMLN won in March 2009, and Funes issued a moratorium on mining while the government conducted a strategic evaluation. In response, a pair of international mining companies, Pacific Rim and the Commerce Group, sued the government of El Salvador for $400 million in unrealized profits. The cases were heard by the World Bank’s International Center for Settlement of Investment Disputes, an international arbitration organization. Al Gedicks, emeritus professor of environmental sociology at the University of Wisconsin–La Crosse and a founder of the Midwest Coalition Against Lethal Mining (MCALM), had previously worked with Native American tribes in Wisconsin against proposed mines. He was invited to Arcatao, which was one of several communities targeted for potential gold mining projects. Upon returning to the United States, Gedicks and other members of MCALM met with directors of the Commerce Group and asked them to withdraw their lawsuit. When they refused, MCALM organized a letter-writing and phone campaign to pressure the company to withdraw from the lawsuit. A delegation from El Salvador participated in a demonstration outside the Commerce Group’s corporate offices in Milwaukee, where they spilled orange salad dressing, symbolizing the mine’s acid drainage. The company, says Gedicks, was financially shaky and the campaign put additional strains on its resources. “It may have been a minor cost in terms of dollar amounts, but it was an additional burden that they weren’t able to deal with,” he says. Pacific Rim was acquired in 2013 by the Australian OceanaGold for just $10 million. The International Center for Settlement of Investment Disputes dismissed the company’s lawsuit and ordered it to pay $8 million to the Salvadoran government to cover its legal costs. These developments added momentum to the national movement to pressure the government to prohibit mining. The legislative assembly was ruled by two rightwing parties with no interest in passing a ban. However, following much popular pressure, the archbishop of San Salvador, in an unprecedented move, went to the assembly and presented a proposal to prohibit mining. 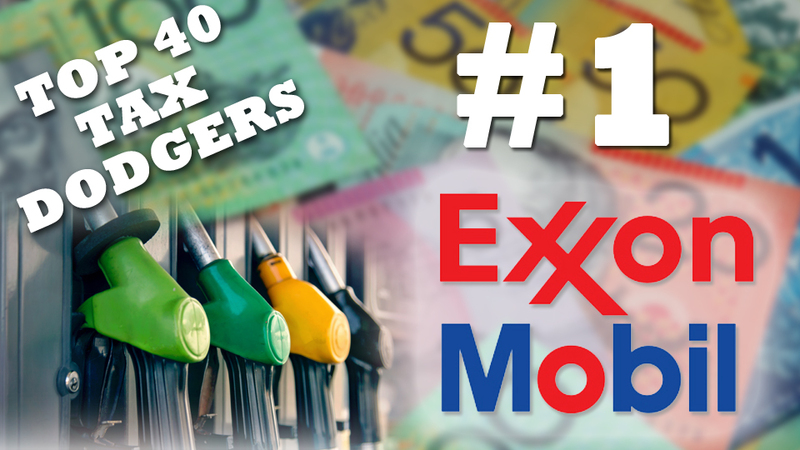 What lessons can international activists learn from this stunning development? Cabezas lists a few. While there were differences between the many organizations involved in this long struggle, “we maintained one unified message: that mining wasn’t feasible for El Salvador. No one strayed from it.” The Catholic Church, cattle ranchers, and the traditional oligarchy joined campesinos in this message. 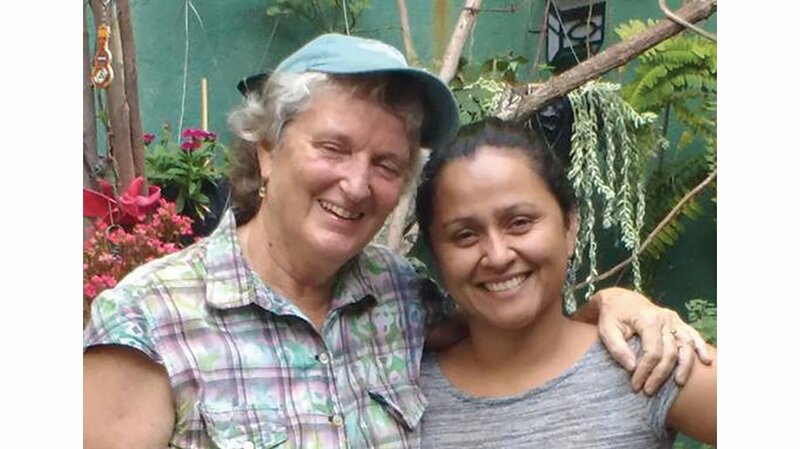 Aurora Conley, vice-chair of the Anishinaabe Environmental Protection Alliance and a litigation support specialist for the Bad River tribe in northern Wisconsin, joined a delegation to El Salvador in 2014. There she witnessed the devastation that the San Sebastián mine wreaked on the people and environment, and participated as an international observer in the first local mining referendum, in San José Las Flores. An overwhelming majority voted against a proposed mine. * Esty Dinur writes about issues that matter and hosts the Friday A Public A air call-in show on WORT, 89.9 FM in Madison, Wisconsin.